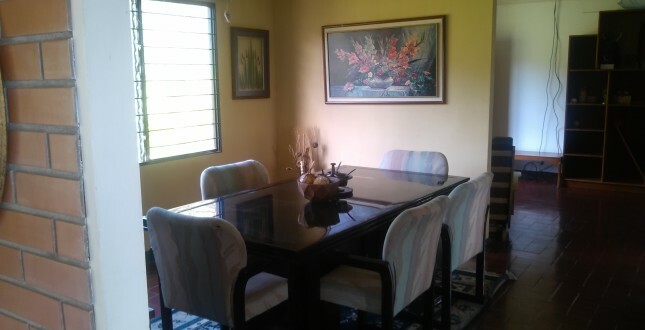 This is a fully furnished mountain house located in Verbena Norte. A two story house with wrap-around decks and gorgeous views of the Turrialba valley. There is privacy and great bird watching. This is a family friendly three-acre farm with trails and flowers. There are 3 bedrooms (1 king, 1 queen, 2 singles), 2 baths (hot water, shower, bathtub), amd am open kitchen/dining/living room with washer/dryer and a security alarm system. These are fully furnished houses, one with two bedrooms and one with four. There is hot water, security and it is very quiet. 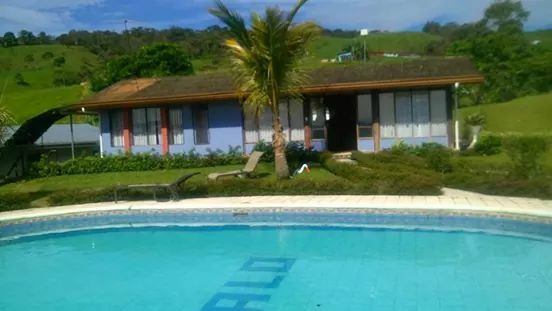 You can make use of a rancho, the swimming pool and a basketball court for your relaxation. These apartmens are located in a larger building. Each apartment has two bedrooms, a living room, a kitchen with dining table and a bathroom. Fully equipped and ready to use. Wifi and cable television included as well.